As an international Asian sourcing center, and a leading service platform for many business entities, Hong Kong offers a variety of intellectual property, or IP, services. Hong Kong is one of the top 20 countries in the world for offering applications in industrial designs, trademarks, and patents currently. Even with the constant reinforcement of the “one-country, two systems” principle of the China, Hong Kong’s constitution provides explicit policies which afford the legal protection for the IP rights of different entities. Therefore, despite being part of China, they are have different legal system for IP rights. As a result, Hong Kong is one of the main strategic hubs in technology and IP for many owners. What is Intellectual Property (or) IP? Before you decide if it is really necessary to determine the scope of protection for products and services of your business, you need to ask yourself, what do you know about intellectual property? Intellectual property is a category of property that includes a group of separate intangible property rights, which are protected by the law. It is generally referred to as patented inventions, names, designs, artistic works, images, and creations of the mind. In fact, these rights are intended to reward and encourage the level of creative industries and the fair competition in the marketplace. IP rights can also prevent others from using your patented invention, copyright designs or work and trademarks without your consent. In fact, it is territorial in nature and exists for a particular period of time. More importantly, Hong Kong has the highest share of the applications for non-resident IP as compared to other IP application offices in Asia. The English legal system of the Hong Kong makes an ideal stepping stone for setting up a startup in Asia. Startups should pay extra attention to some of the significant factors that are unique in this city. Below are some of the IP rights which are granted by the laws of Hong Kong in order to protect your personal assets. A patent gives the inventors a special right to use their invention. Basically, it means protecting new inventions and technologies from being exploited by other business entities. It also gives an exclusive right to the inventors of a patent or its subsequent owners to make and use the design or put it on the market. More importantly, the inventions must be inventive, new and useful for industrial applications. In order to have these rights, the applicant has to reveal his creativity to the public through patents registry in order to support further inventiveness in the business. But in Hong Kong, patents are granted to that person who has filed an application instead of the person who has created the design. Hence, inventors may lose their patents if they don’t apply immediately after the invention of the design. 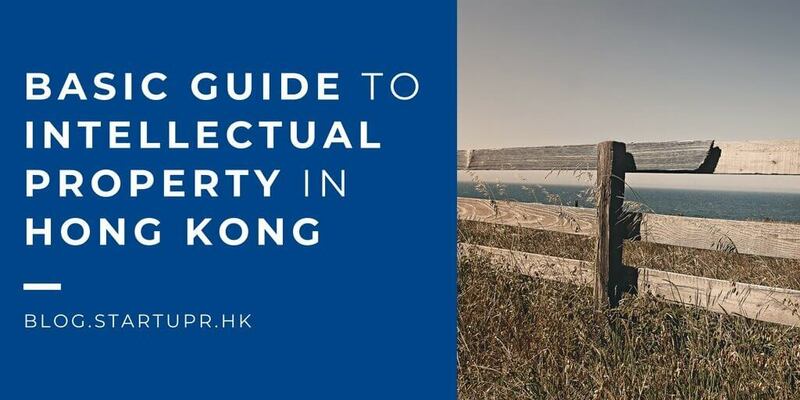 Patents are the local rights, and patents can be licensed, sold and bought, as Hong Kong-registered patent presents exclusivity only within Hong Kong. Now you know the concept of patent and the benefits of obtaining it in Hong Kong, the next step is how you will achieve it? Patents law in Hong Kong is based on Hong Kong Patents Ordinance, and there is no substantive examination. The whole process usually takes around three to five years. The privilege of a standard patent is based on the registration of a license, which is allowed by one of three “designated patent offices” in Hong Kong. The State Intellectual Property Office, People’s Republic of China (PRC). There are two types of patents available for inventions in Hong Kong, the “standard patent” and the “short-term patent.” The short-term patent is much faster and affordable than the standard patent because it doesn’t require any substantive examination. Copyright protection is given to a company or person who created it before it came into the marketplace. In short, it is provided to the “original works of authorship.” As a matter of fact, copyrightable works comprises the graphics, sculptures, pictorial works, plays, music, literature, motion pictures, architectural practices, choreography and at times, software. How are the copyrights generated? You can quickly generate the copyrights of your company by merely recording the ideas in the format of video recording, drawing, photographs, audio. In fact, the copyrights came into play as soon as an authorized person creates some work and it also comprises the right to distribute, perform and reproduce the copyrighted work publicly. Is it necessary to register for the Copyright? No, at the time when you complete all your work for your company rights, the copyright will naturally be generated. In Hong Kong, there is no provision or need for any kind of registration for the copyrights, but all you need to maintain the up-to-date documents so that there will be no difficulty to prove your ownership. In order to overcome all the hurdles, it is important to add the notice of copyright to work and setting out the logo of “©” for the copyright owner’s name with the date of publication. As a result, this notice will help you in establishing your control in the infringement proceeding events and will also assist you by giving the warning notice when someone is trying to copy your ideas. 1. Who provides this good and services? 2. Who is making these products? A trademark can be in any language; it can be in Chinese or Latin characters or a local dialect in Hong Kong. Moreover, companies need to register with the IPD (Hong Kong Intellectual property Department) for their trademarks and the IPD will not differentiate between foreign and local proprietors. What Rights Do I Receive? 1. By using identical trademarks on similar good and services. 2. Using an identical logo or similar mark for goods or services, where there is a possibility of ambiguity on the part of the public. 3. If the use of an identical mark takes unfair advantage or reputation of the registrant’s mark. Designs, with the meaning of any configuration patterns, ornaments or any new shape applied to an article or part of a product by an industrial process, can be protected by the process of registration. In fact, the appearance of the products such as lines, fabric patterns, shapes, materials, textures, toys, contours, watches, and mobile phones can be protected by the doing design registration. How do I apply for the registration of designs in Hong Kong? The design must be unique and new. It should have an aesthetic appearance of the product. But you need to be cautioned while registering your design in Hong Kong, because any disclosure of the design will become a hurdle for filling your application. For setting up a new business in any country, you should acquire a domain name for your company in order to stay away from any future legal problems! In fact, the domain names closing with “.com” are ruled by the ICANN (Internet Corporation for Assigned Names and Numbers) and the domain names such as “.hk” are dictated by the Hong Kong Internet Registration Corporation Ltd. If the registrant has no legitimacy in the domain name. If it is confusingly related to the Hong Kong’s trademarks. Trade secrets and confidential information are essential assets for doing business in this competitive world. Vigilance is the perfect safeguard when it comes to protecting your valuable business and trade information. In fact, confidential information can be anything such as commercial or industrial secrets. Unlike any other rights of a business, it is as pertinent, and it can be in any form, such as innovative processes, source code, statistical information, plans, designs and needs to be protected from any misuse. In the same way as- the formula for Coca-Cola is. Now that you know how essential the delegation of IP rights is, in order to receive the full benefits of the IP rights, it is important to enforce them in Hong Kong. The amount of infringing products produced or sold. And more importantly, the possible location of the assets. As a matter of fact, intellectual property works for both the sides, as it is highly essential for the act of protecting your IP, but it is best for you to take care that you do not violate the IP that has been held by some other business entity. 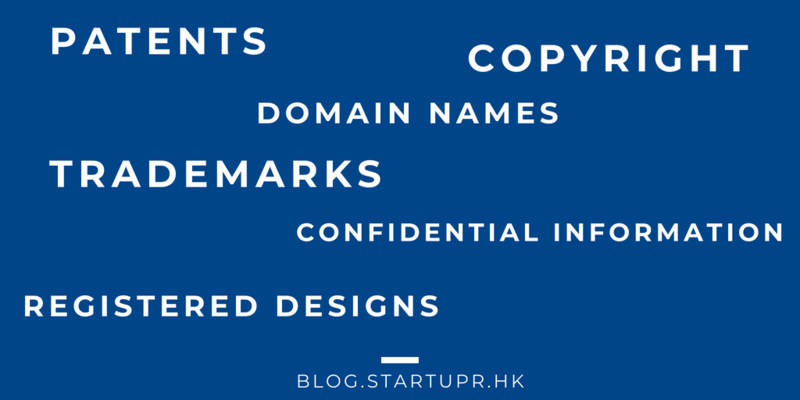 In Hong Kong, copyright doesn’t acquire any registration process, but domain names, trademarks, designs, and patents need to be registered in order to enjoy the full benefits. You should consider doing business in Hong Kong, as it is one of the top 20 countries for providing a superior services platform for different business entities. If you are ready in setting up your business in Hong Kong, then Startupr is here to assist you in registering and incorporating your company today!